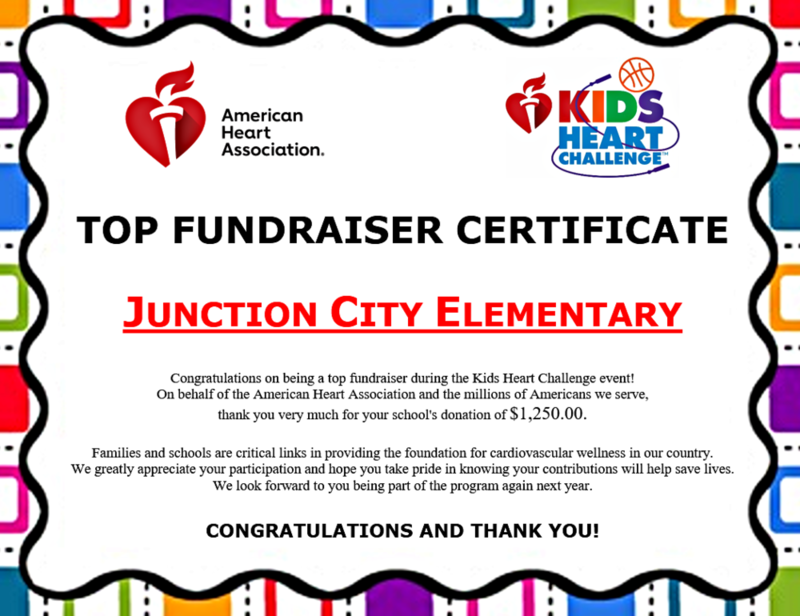 JCES raises $1,250 for the AHA through Kids Heart Challenge! Congratulations Coach Jerry Stegall and our elementary students for being a TOP FUNDRAISER for the American Heart Association through Kids Heart Challenge! Our elementary students and teachers ROCK!